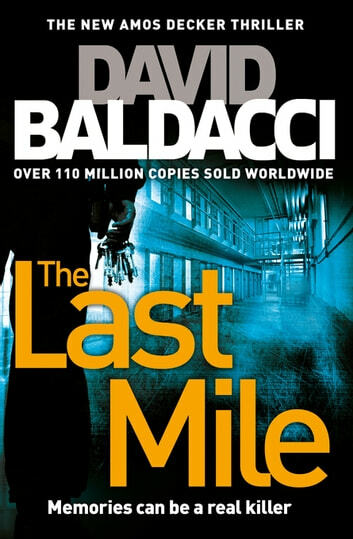 A gripping thriller from David Baldacci, The Last Mile is perfect for fans of Lee Child and James Patterson. Memories can be a real killer. Melvin Mars awaits his fate on Death Row. He was one of America's most promising football stars until, aged twenty, he was arrested and convicted for the murder of his parents just as he was due to begin a very lucrative contract with the NFL. The case proves to be life-changing for both Mars and Decker in ways that neither could ever have imagined. 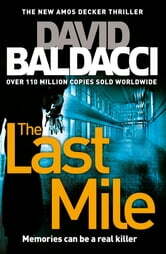 The Last Mile is the second in the Amos Decker series, following Memory Man. Again David Baldacci has wrote a book that grips you from the first page, Amos Decker is a person who you can relate to, needs to know the truth regardless of what it might be, I just couldn't put this book down I needed to know the outcome. If you enjoy detective/ FBI tales this is the one for you. Another brilliantly constructed and superbly well written thriller, full of twists and turns almost up to the last page. Full of superb characters, with Decker's relationships with the others in the team growing and developing all the time, this wad a very difficult book to put down. In fact, one of my fastest reads. Can't sing the praises of David Baldacci enough. All of his work is inspired and brilliant to read, and in Amos Decker he has probably the most complex but likeable heroes in this genre. Very highly recommended read in a very highly recommended series by a truly superb author. Brilliant, he's such a good writer. I love the way it starts fairly slow and by the end you just can't put it down. I really enjoyed reading this book.there are so many twists and turns. It is fast moving as well.the characters are great and they take you to a world of intrigue .really well written.you just go with the story. An excellent book by a great writer.